Feel like your Droid is getting a bit too outdated? Or want to brag about your gadget’s superpowers to your friends? Yes, benchmarking is always the answer. 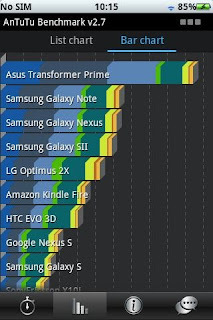 Benchmarking not only allows users to get to know the power of their device, it’s also useful for tech bloggers / writers who post gadget reviews. Benchmarking, for the uninitiated, is the process of running a computer program, or a set of operations, in order to gauge the relative performance of an object, usually by running numerous standard tests and trials against it. Basically, Benchmarks are like stress tests for computers (or parts of computers) wherein the device is pushed to its limit in order to assess its full capabilities. Though system benchmarking was traditionally done for computers, these days, benchmarking smartphones and tablets isn't necessarily a new thing. Despite the weird name, AnTuTu serves as a great benchmarking tool for Android users. This free application can check memory performance, 2D and 3D performance, Database IO performance, as well as SD card reading and writing speed. Once you’re done with the test, AnTuTu ranks your gadget against other popular Android devices thus letting you know whether it’s really time for an upgrade. Quadrant is a CPU, I/O and 3D graphics benchmarking tool that assesses the performance of your system for free. 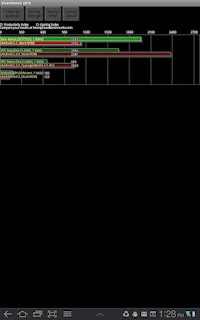 This ad-supported application lets you perform CPU tests like arithmetic operations, XML parsing, and multimedia decoding. On the graphics front, Quadrant tests out the visual side with tests like OpenGL single-pass and multi-pass rendering with stencil buffers. Rated 4.6 out of 5 stars, Quadrant is freely available for download from the Play Store. CF-Bench, which claims to be the first multi-core CPU benchmarking tool, is a great application to test the power of your CPU and memory. 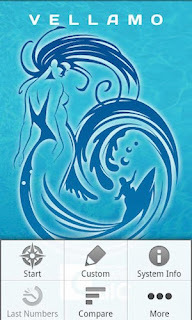 The app can be quite useful if you have a dual-core or a quad-core smartphone, which, these days, is not uncommon. 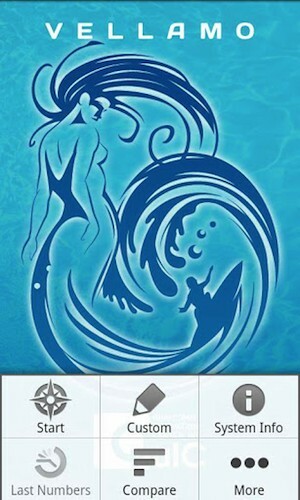 Though the app produces good results, they cannot be termed as 100% accurate in any way. Rated 4.7 out of 5 stars, CF-Bench is freely available for download from the Play Store. 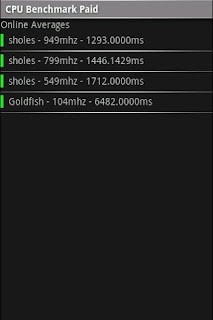 Benchmark is a free tool that lets you assess the 2D, CPU, and memory performance of your device. 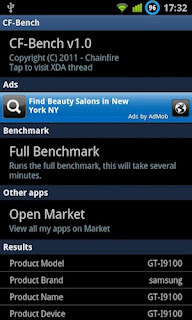 Though the app brings nothing special to the table, it’s still a great benchmarking tool nonetheless. CPU Benchmark is a tool specially designed for benchmarking processors. 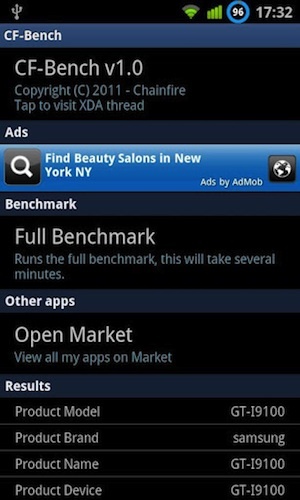 The app can be best used for deciding upon an overclock or comparing two smartphones. Though nothing special, the app can come in handy if all you’re looking for is a CPU testing tool. 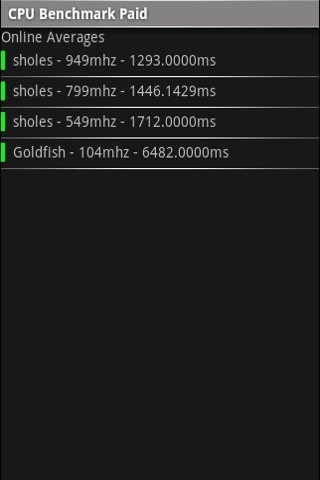 SmartBench is a multi-core friendly benchmarking tool for Android that lets you assess the overall performance of your smartphone. Capable of running on tablets as well as phones, SmartBench results can also be uploaded online. 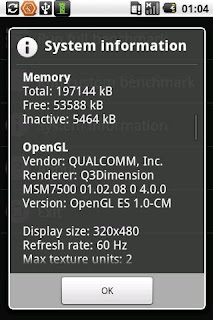 If you’re a 3D gamer on Android, Smartbench’s 3D testing capabilities will come in very handy. 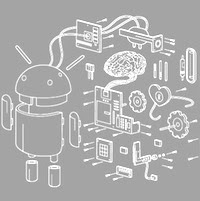 Rated 4.0 out of 5 stars, SmartBench is freely available for download from the Play Store.